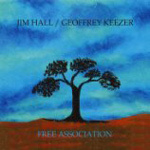 4/20/2019 7:02:02 AM - Free Association, the latest recording from Jim and master pianist Geoffrey Keezer has captured the Choc de L'ane'e Award from Jazzman/France. This is the second Choc de L'ane'e Award in a row for Jim. Free Association features the virtuosic piano styling of Geoffrey Keezer. It was an ArtistShare fan-funded release produced by Brian Camelio.